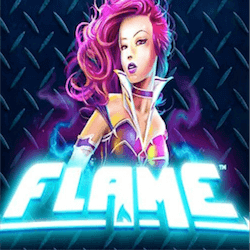 Flame is a premium online slot from NextGen that features a purple haired rocker as the protagonist. You must help her give the stage performance of her life and light up her fans while you light up the special features. With this title’s high 96.61% RTP you will definitely not be able to stay in your seat. This 5×3 slot is packed with random bonus features while still offering you a massive 200 000 jackpot. Wagers can go as high as 75 per spin. There are 20 paylines to activate here so Next Gen has kept things pretty straightforward. It is only when you start playing that the real action starts as the various special features included in Flame start triggering and shows off some great animations. NextGen has done an excellent job on this original property and hopefully we see an upgraded sequel sometime soon as Flame just feels like the right slot at the right time. Olympus Thunder may have been NextGen’s understated slot release last week, but this week they are trying to grab slot fans’ attention. NextGen’s character driven slots have always been their most popular so it would be interesting to see what Flame’s performance is like. The reel icons have a metallic sheen to them which looks absolutely great on screen. While you are playing purple flames burn at the bottom of the screen. Once one of the random features is about to be triggered, you will see the flames grow bigger and start glowing orange. The random features include the Cross Flare which lets the paylines pay both ways, The Flare Up which adds a multiplier to your wins of up to 10x your staked wager and the Firestorm feature that combines added wilds and cash prizes. The purple haired rock protagonist, Flame, is the wild icon on the game and you will see her face show up on the reels very often to make some extra wins for you. She is exclusive to the 2nd, 3rd and 4th reels when she does show up. Next Gen has created great characters and a great concept here. Let’s hope they develop her world further and give us some upgraded sequels. 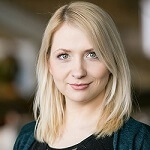 There has been increased competition come from independent slot studios, placing many traditional developers in a compromising position. It is heartening to see NextGen still bring some original goods to the table.